AP extends contract with LiveU for uplink over cellular transmission units. LONDON, 15th July 2013 -- Associated Press journalists on every continent can now stream real-time video content back to its London production hub in full, broadcast-quality high definition. 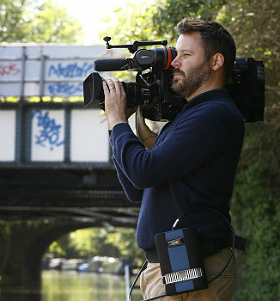 The international news agency today announced an expanded deal with portable live video-over-cellular specialists LiveU to deploy a range of professional broadcast technology devices globally. The agreement builds on AP’s strategy of being first to meet the increasing demand for live news from broadcasters and high-end digital publishers. AP also recently announced it had taken a stake in Swedish technology startup firm, Bambuser, which specializes in streaming live video over smartphones. 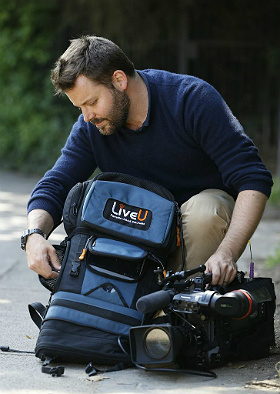 The LiveU deal includes a backpack uplink unit with full high-definition capability, a smaller unit which can be clipped to a belt and technology to convert a laptop computer into a live video transmission unit. The small, lightweight devices allow a single professional camera operator to film and stream live footage. The investment in LiveU technology means AP can now routinely deploy more than one unit on the same story, providing a multi-camera environment and therefore a fuller picture of events as they unfold. That multi-camera flexibility has been a key part of AP’s coverage of the ongoing Nelson Mandela health story. LiveU units positioned at various camera angles around the Pretoria hospital where he is being treated and outside his Johannesburg home beamed live video of his family visiting and talking with the waiting media. “Live coverage has been a priority for AP since we first launched a service for broadcasters back in 2003,” said Sandy MacIntyre, director of global video at AP. “Now we have more than 200 TV stations and digital publishers who quite rightly expect us to ensure that, regardless of where news breaks, we are delivering live content within minutes. To accomplish that AP is operating on two levels,” MacIntyre said.